Murray tells of a conversation he had in Scotland, where men were discussing the most pressing needs of the Church and today's Christian. When he asked one man's opinion, the man said quietly, "Absolute surrender." The man's simple words struck Murray to the heart, for he knew that the man had grasped the essence of human need. 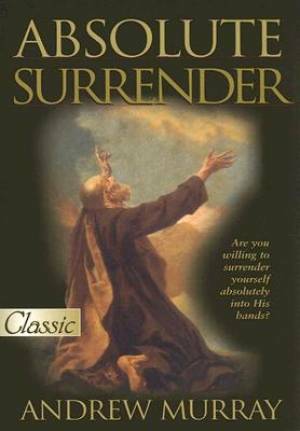 This book-as simple and powerful as the man's quiet statement-is the result of Murray's passionate exploration of the issues of surrender: why it's seemingly impossible and yet completely necessary. Absolute Surrender by Andrew Murray was published by Bridge Publishing in July 2005 and is our 44594th best seller. The ISBN for Absolute Surrender is 9780882700281.